I am need of a lot of dental work my teeth are darker than two veneers (front teeth) I had put on about four years ago. It is becoming very noticeable…what do you think would be the best way to correct this? Paul, the options to correct what you are talking about are vast and varied. Has your dentist suggested the Brite Smile or similar teeth whitening treatment. It is expensive but the results in whitening the teeth are fabulous. my dentist informed me I need 3 or 4 implants. I was referred to an oral surgeon who informed me the same plus I now need a bone graft to hold the new implants O JOY help!!! Bad day at the dentist, I hear from a lot of people who have had a “bad day at the dentist” But the good news is you do have an option. One that does not involve surgery, bone grafting or 6 to 12 months of waiting until you can actually chew an apple. 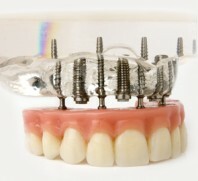 Check out One Day Dental Implants (in our Dental Section and many other websites). Implants dental low cost/cheap I read you have one day dental implants but does that include everything or ar there hidden costs like the crowns. I need a lot and am looking for the lowest cost/cheap cheap! texas I am just 36 years old and I’ve already lost a lot of my teeth, I feel really bad about it, it’s actually something genetic, the same happened to my mom and grandma, I’ve just read about these one day dental implants but they are too expensive here, and I don’t have insurance. How can you help me with that? texas Roger, unfortunately the cost of dental implants in the States makes it impossible for many people to get them. You do have an option. We have an excellent dentist who specializes in one day dental implants at 1/3 the cost of what you would pay in the states. Whats amazing is you actually leave the office with a full set of teeth. The process is truly amazing and I think it will change the way dentists all over the world do dental implants. Check out our Dental section. We do also have some packages available for 4 and 8 dental implants. Lets us know how many you need and we will see what we can do.